There’s something other worldly about the music of Atlanta, Georgia’s The Listening Wall. The simple endearing quality of Jim Stallings’ vocals and guitar, the angelic accents of Kathryn Webster’s remarkable voice and piano seem to create a seamless, ethereal sound. It’s hard to believe they’ve only been making music together for a year and a half. Some matches, they say, are made in heaven. The Listening Wall is one. 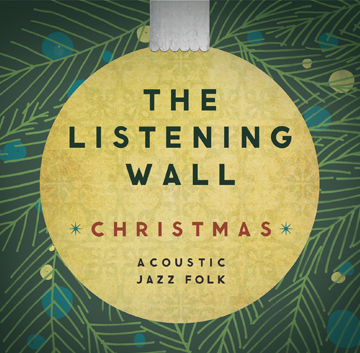 Since the release of The Listening Wall Live, Stallings and Webster have been inundated with requests from fans for new material. “Since the Christmas season has always held a special place in our hearts, it seemed like a perfect match to create a CD about the season we love, to share with the people we love,” says Webster.